Pick ups from Kewarra Beach (inc Sun Pacific College) will be approx 15 mins after selected time. Pick ups from Yorkeys Knob / Holloways Beach will be approx 20-25 mins after selected time. 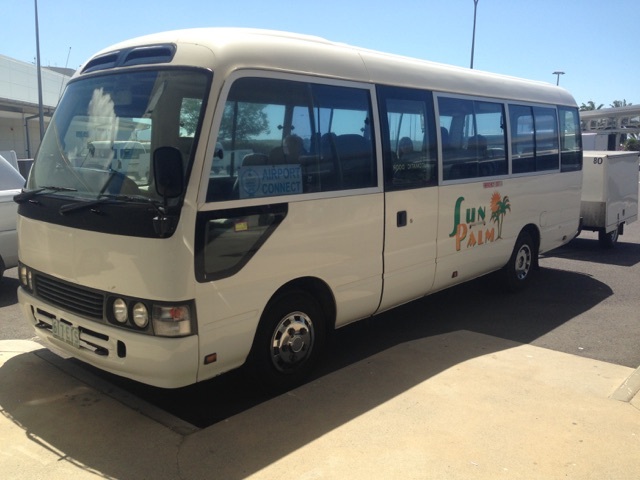 As well as regular daily shuttles, servicing Cairns City hotels and Port Douglas, Sun Palm also has a regular Palm Cove and Northern beaches Airport Shuttle Service. Please be aware that in the Northern Beaches and Palm Cove we only pick up and drop off at the below hotels and resorts, we do not pick up or drop off at private addresses. In fact Sun Palm will arrange your transport anywhere in the North. To make your arrival, departure and transport arrangements as seamless as possible, allow Sum Palm to arrange your Airport Shuttle requirements. Relax and enjoy the drive in comfort, with our Airport shuttle service, or book our private service online.